Thinning hair solutions are available. This is my own personal journey. Traveled with my super rock star hair husband. And it’s rough, so buckle up. This is not for babies. But here’s the good news. I made all the mistakes for you so you can go directly to solutions. Step 1 Diagnose Medical Conditions. AKA ‘beauty from the inside out’. I found a miracle in medicine. But first, what I went through to get there. Round 1: A hellish bout with my primary care physician. He recommended cutting down on red meat, fat and alcohol. Told me to get plenty of sleep, meditate to reduce stress and take an over-the-counter supplement. I took Estroven. After diligently following this routine for three months with no change, I went to round 2. A moment to pause. Can you imagine a pre-menopausal woman without chocolate and wine? It didn’t matter how much I rested, I was still a raving lunatic with bald patches on my head. I was definitely NOT happy. Round 2: I go see my gynecologist, explaining in-depth the issues I’m having and begging for help. My doctor recommended I try the Lo Lo Estrin Fe. When I had asked about side effects he laughed and told me not to read the insert describing possible side effects- “it would just scare me”. I figured it out about 3 months in. When it made about 1/3 of the remaining hair on my head fall out. Had I known that 1 in 5 women (of all ages) will lose their hair with this awful pill, I would have opted NOT to take it. Caveat emptor, my friends. My hair and I began looking for a new physician. Final round : Knock Out. Back to Google. I find this beacon of light in the darkness, Human Reconstruction. Dr.’s Heather & Ryan. They are both trained Medical Physicians AND Naturopathic Doctors. Growing up a Catholic girl in an Adventist school, I had a belief system firmly rooted in the effects of healthy diet and lifestyle. Naturopathic Doctors are the best trained alternative medicine practitioners. Dr. Heather took a complete medical history on me. I explained, nearly in tears everything I had already been through. I remember sitting in her office that day feeling awful. My skin was awful, my hair balding in patches. I was bloated, bitchy and heavy. My moods by then were on a roller coaster between screaming banchee and blubbering mess. I was absolutely miserable. Doctor Heather ran all of my blood work, made lifestyle recommendations, suggested some vitamins. And put me on the miracle drug that gave me my life back. Progesterone was my answer. Now, I’m not a doctor. But whatever my body wasn’t producing before, Progesterone gave it back. The horrible effects of a year of searching for answers, began reversing itself immediately. When I say she saved my life, I’m not kidding. She saved my marriage too. Step 2 Begin Rebuilding my hair. Hair, meet Bosley. Bosley, please fix my hair. 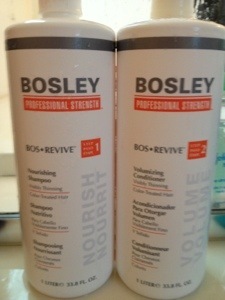 I started using Bosley Bos Revive Professional Strength Nourishing Shampoo and Volumizing Conditioner. For styling, I use the Nourishing Treatment that came in the set. I take the Bosley Vitamins every morning and every night. I switched to another brand when I ran out and they didn’t work. Now they are the only brand I take. Where can I find Bosley Shampoo and Conditioner in Sacramento? We’ve carried this product for quite some time. 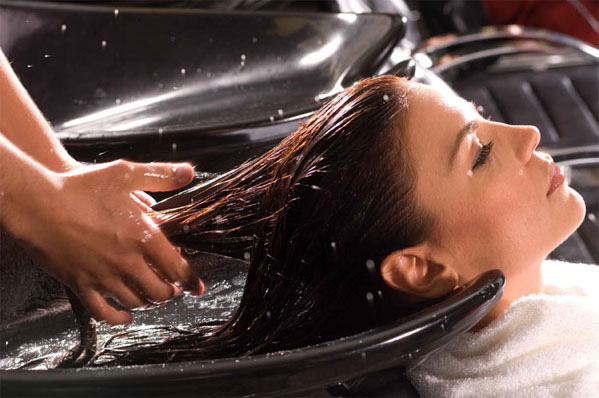 We are one of the few authorized salons to sell the Bosley Hair Care line in our area. 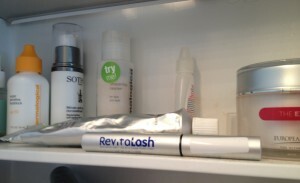 Some of our stylists use it religiously and now I know why. It made my hair stronger and the breakage began slowing. It made my hair considerably thicker while the hormones and vitamins did their work to re-build. It’s very gentle on my hair. And apparently removes some horrible thing called DHT. Dihydrotestosterone (Alias, DHT), plays a major role in hair loss. Especially for women. Daily use of these miracle products removes the DHT. I get my hair trimmed a little more than usual, to keep the ends fresh and avoid splitting. I have very long hair and I’m keeping it long for as many years as I can. Step 3 Revitalash. With my mood-swings and hair under control, I decided to take a swing at my poor broken little eyelashes. I even had spots on both lids where the hair just wasn’t growing any more. I couldn’t end my journey without a note about this little miracle. We sell this stuff too. We have for years. I had never tried it until now. 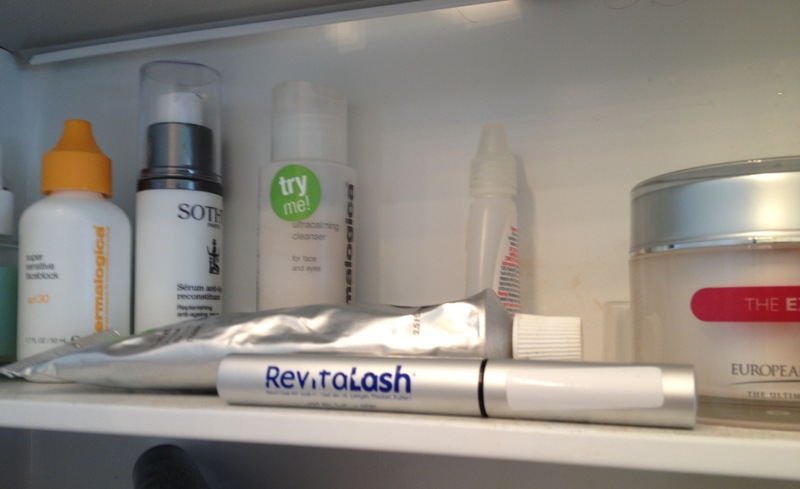 Revitalash was made by a physician whose wife was suffering from the effects of chemotherapy and radiation. Despondent from her balding eyelashes, he made a solution for her. (Now that’s love!). I began using my little tube at the end of March 2013. I had an event coming up in mid-May, I figured 45 days or so and maybe, I’d be able to fill that bald patch at least. It comes in a little tube, just like mascara. It has a tiny brush and you just paint it on like eyeliner. Every night after I removed my makeup, I’d apply a tiny film along the top and underneath my bottom lashes. I even put a little on my brows. Truthfully my brows have always been a bit patchy, but after pre-menopause it looked like I only had half a brow. For some reason they were only growing from my mid face outward. When your brow pencil wears off this looks really funny. But again, my brows were nothing great to begin with. A word of warning. Go really easy on this stuff. If you get it in your eye, it stings. Then I started obsessively checking my eyelashes. Nope nothing after a month. I kept at it. Nearing the six-week mark, I thought maybe, just maybe they were thickening up just a bit. Maybe they were a little longer. I think what really happened here is that life got busy and I started to forget about it. My lashes were actually just going back to normal as was the rest of my system. My lashes are a pale blond at the ends so I really didn’t notice what a tremendous difference this product was making until I started feeling them hitting the back of my glasses and sunglasses. Figuring I had shoved them too far up my nose, I kept readjusting. I kept happening. Only more frequently. I’ll be damned if this little tiny tube didn’t just give me my lashes back, it gave me better lashes. They are noticeably thicker and much longer than before. Now ladies, I’m a skeptic, like all of us who have been taken in by hollow beauty promises. My drawer of failed products is as full as yours. But this stuff works and it works well. The price tag is a little stiff, at $150 each. But I use mine every single night and have since the end of March this year. So I’m approaching the six month mark. I don’t know where this tube I’m on runs dry, but I haven’t reached it yet. Completely and totally worth it! So ladies, again buckle up. Don’t ignore the inevitable. Pre-menopause is not for sissies, and it’s a bumpy ride. Manage it early. I spent a year in misery before I realized what was happening and another 6 months trying to find solutions. My life is immensely better in every way. My skin is back rosy and supple, my hair is nearly normal. My eyelashes are long and thick. There are other benefits, not for public consumption, but things are much-much better. I have the energy I’ve had my whole life and I eat chocolate and drink wine whenever possible. You’ll feel better soon, I promise. Recommendations are always available to you on anything I’ve mentioned here. My husband has first hand experience on everything I went through. Wine and sympathy are available with free consultations. Stop by any time. GS HAIR, 2398 Fair Oaks Blvd. Ste 9, Sacramento, CA 95825. Book direct through our same number (916)838-4642 we text! E-mail us at gshair@sbcglobal.net. We are in the modern building off Fair Oaks Blvd. and Fairgate Drive. Look for the two-story studio on the end. You can’t miss the sign. Still on the ‘miracle mile’ as promised! See you at the studio! Gayle Brinkenhoff, the woman for whom Revitalash was made for, passed away on July 12, 2013 after her heroic battle with metastatic breast cancer. We pay tribute to her here. Revitalash co-founder, Gayle Brinkenhoff Memorial.